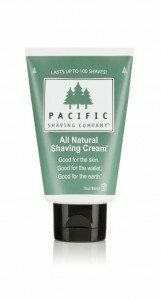 What is the Best Shaving Cream for Sensitive Skin? 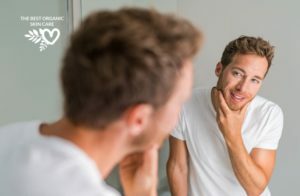 Using a shaving cream when you have sensitive skin can be more of a bother than a benefit, there can be stinging, peeling, flaking, itching and redness, all from using a shaving cream that doesn’t work for your skin. Sensitive skin is – well – sensitive. It can’t handle just any ol’ product your throw on it. It is fussy and reactive, throwing a tantrum at the slightest irritant. 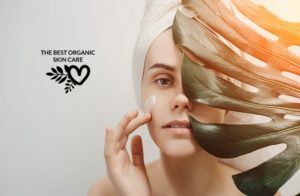 When you have sensitive skin, it is all the more important to use organic and natural products. The chemicals in conventional products are just going to irritate your temperamental skin. Did you know that your drugstore shaving cream is full of chemicals and toxins that irritate the skin? Did you know that there are alternatives available that won’t be irritating, and are all natural? Do you suffer from itching, flaking, dry, and irritated skin? Does shaving seem like a chore because you know that you will be left with a stinging face? You need to get off the drugstore products and on to natural and organic products. You need a product that nourishes and protects your delicate facial skin. Sodium Lauryl Sulfate and Sodium Laureth Sulfate – these are foaming agents that are known skin irritants. Sodium Laureth Sulfate can be contaminated with toxic dioxane and ethylene oxide. Parabens – Preservatives used in personal care products, this class of chemicals have been linked to endocrine disruption. Synthetic Fragrances – The term “fragrance” can hide a slew of chemicals. These chemicals can cause dermatitis and organ toxicity. Triethanolamine – There is strong evidence that this is a skin toxicant. Phthalates – Chemicals used to soften plastics and help products cling to the skin. Many of them are toxic. Butyl Benzyl Phthalate is an example of one that is extremely bad. Why would so many potentially irritating ingredients be put into products that we regularly put on our skin? Why are there so many chemicals used in our personal care products? (If you have the answer, let me know). Aloe Vera – A nourishing and soothing plant based ingredient. Plant Oils – Oils such as Jojoba, Almond or Coconut. 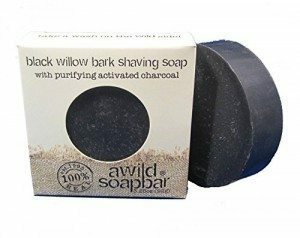 These work well on the skin without causing irritation. Essential Oils for Fragrance – Scents derived from plant extracts are much better than synthetic fragrances. put shaving cream on with a badger brush. Shave less closely to the skin and shave more often. I will now recommend a couple products; a shaving cream and a shaving soap (shaving soaps are nice because they contain fewer ingredients and work up a great lather, they can be drying though, so that is why some people prefer creams). shaving sensitive skin can be definitely dealt with especially new lasers that are coming out, like laser shavers. However, still not sure why the wisdom is to shave after the shower and not before. 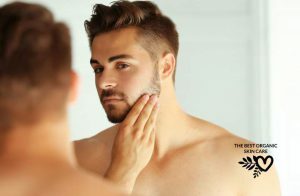 The reason you shave after showering is the steam opens up your pores and the hot water softens your hairs, making them easier to cut.